You'll explore and learn at Topkapi Palace and Kariye Museum (The Chora Church). Shop till you drop at Kapali Carsi and Amant Turc. And it doesn't end there: take in the spiritual surroundings of Hagia Sophia Museum / Church (Ayasofya), enjoy breathtaking views from Galata Tower, slough off your stress at Turkish baths, and take a stroll through Sultanahmet District. 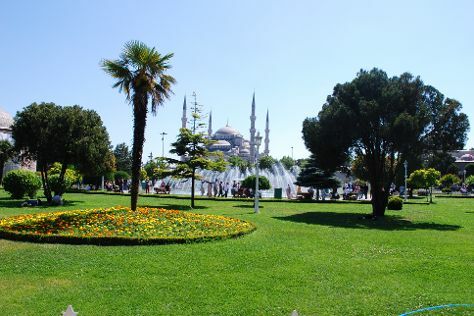 To see reviews, traveler tips, photos, and more tourist information, go to the Istanbul trip planner . If you are flying in from Saudi Arabia, the closest major airports are Atatürk International Airport and Sabiha Gökçen International Airport. In April in Istanbul, expect temperatures between 20°C during the day and 9°C at night. Wrap up your sightseeing on the 4th (Thu) to allow time to travel back home.